You are currently browsing the archives for the John Kline category. Lord knows I’ve criticized Juan Williams for his beliefs that the Benghazi and IRS scandals are all about politics. I stand by those criticisms. Just about the time that I’m ready to dismiss Williams, he writes an article like this one that makes me realize that there’s more to Juan Williams than the political creature we see on TV. Last week, 60 years after the Supreme Court ruled racial segregation in public schools unconstitutional with its 1954 Brown v. Board of Education decision, a group called “Journey for Justice Alliance” sent civil rights complaints to the Justice and Education departments. The group argued that too many failing public schools in black neighborhoods are being closed and replaced with charter schools. This attack on charter schools comes a week after the House, in a rare bipartisan vote, approved a bill to put more federal dollars into expanding charter schools. The House Education and the Workforce Committee bill was written by its Republican chairman, John Kline of Minnesota, and supported by its ranking Democrat, George Miller of California. Kline told reporters that Arne Duncan, the Secretary of Education, supports the bill and will urge Senate Democrats to pass it. In a Congress politically paralyzed over efforts to update the Bush administration’s plan for improving public school performance, No Child Left Behind, the charter school bill is the first sign of a breakthrough. It’s time for conservatives to start highlighting their commitment to beefing up funding for alternatives to government schools. Thurgood Marshall, the lawyer who won the Brown case and later became a Supreme Court justice, told me as I was writing his biography that the case was not really about having black and white children sitting next to each other. Its true purpose was to make sure that predominantly white and segregationist school officials would put maximum resources into giving every child, black or white, a chance to get a good education. But now people described as liberal “activists” are filing complaints against closing bad neighborhood schools. They put more value on having a bad neighborhood school than getting a child into an excellent school. The charge that some charter schools are no better than the neighborhood schools being closed ignores the truth that some charter schools have produced better results. Also, parents have the choice to pull their children out of charter schools that do not help their children. In the 1950s, white-hot bigotry existed on a widespread basis. Racism still exists but nothing like what existed in the 1950s. Conservatives should join forces with thoughtful liberals like Juan Williams in making charter schools the education movement of the 21st Century. First and most importantly, it’s the morally right thing to do. Second, creating competition will force the teachers’ unions to decide whether they’d rather become irrelevant or whether they’d prefer becoming part of the solution. When Juan Williams criticizes the teachers unions, it’s time for conservatives to join with him in creating an alternative to government schools. It’s time to expose the race hustlers as not being interested in improving people’s lives. They’re in it to make a fast buck for themselves. Race hustlers like Mssrs. Sharpton and Jackson should be put out of business ASAP. Before this week, abortion, the hottest of America’s hot-button social issues, has been on the back-burner ahead of this fall’s elections. That changed on Sunday when Todd Akin, the Republican candidate for Senate in Missouri, told a journalist that “legitimate” rapes rarely result in pregnancy. The comment ignited a firestorm around Akin, whose own party now insists he drop out of the race, and it led politicos on both sides of the issue to dust off their talking points for the first meaningful time this year. The DFL will attempt to tie Michele Bachmann, John Kline, Erik Paulsen and Chip Cravaack to Todd Akin. I invite them to waste time on the subject. It’ll show people how out of touch they are. First, the only people that will tie Akin to anyone are already committed to voting for DFL candidates. Once the conventions start, America’s focus will be on President Obama’s disastrous economic policies. Second, Todd Akin’s statements are Todd Akin’s statements. They aren’t John Kline’s or Erik Paulsen’s. Those who are talking about it, though, are Democrats running for the House, including those in Minnesota, who quickly note that most of the chamber’s Republicans sided with the now-toxic Akin on a string of abortion votes taken this session. The DFL is treating GOP legislators’ votes on pro-life issues like it’s breaking news. It isn’t breaking news. In terms of news, in fact, it doesn’t register even a blip on the political radar screen. That’s the type of overheated statement that people tune out. They’ve gotten to know Chip Cravaack as a reasonable person. Only fringers will buy into CREDO’s comments. This shows how little CREDO knows about the Eighth District. The Eighth District has a significant pro-life population. CREDO telling Eighth District voters that Chip is pro-life is doing him a favor. A Democratic super PAC and a major union have reserved almost $900,000 worth of Twin Cities TV ad time as they target Republican Reps. Chip Cravaack and John Kline of Minnesota and Rep. Reid Ribble of Wisconsin. The House Majority political action committee and Service Employees International Union announced the reservation Monday as part of a $20 million push to help Democrats win the House. 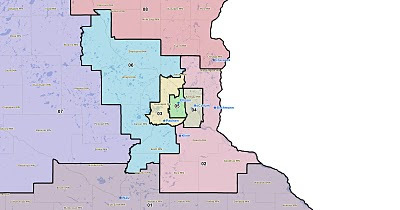 House Majority reserved $594,000 and SEIU reserved $295,000 in the Minneapolis-St. Paul market. Cravaack is a top target after unseating a long-serving Democrat two years ago in northeastern Minnesota. Ribble is another freshman who could face a stiff challenge in a Wisconsin district partially reached by Minneapolis airwaves. 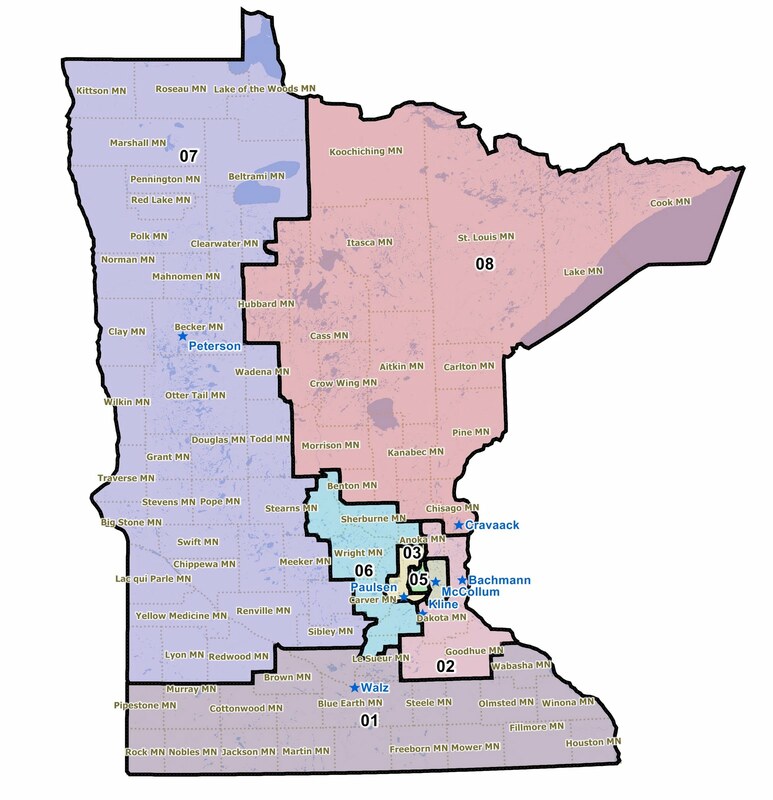 Kline, a five-term incumbent, faces a less conservative electorate in a newly drawn district in the southern Twin Cities. I’m thrilled that the SEIU and this superPAC have committed to spending this money in their futile attempt to defeat Chip Cravaack and John Kline. I’d rather see the SEIU and this superPAC spend their money on those races than on races they might have a shot at winning. There’s no question that a) Chip’s had a bullseye painted on him since the night Jim Oberstar refused to admit he’d been defeated by Chip and b) John Kline’s district isn’t as red as it was prior to redistricting. There’s no question that the DFL, the DCCC and the SEIU are salivating at the opportunity to defeat Chip after he defeated the porkmeister they loved. There’s also no chance that they’ll defeat Chip. During his 2 years in office, Chip’s worked hard to make life better for the Iron Range. The reports I’m getting from the Range tell me Chip’s efforts are paying off. 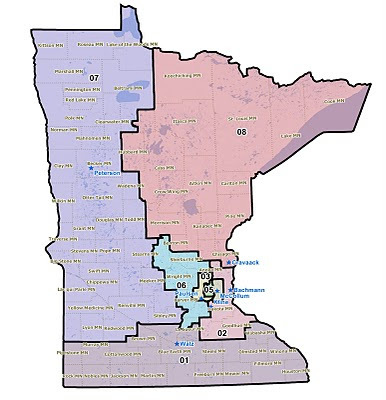 As for their decision to purchase ad time against Reid Ribble, my question is simple: Why would these idiots buy Twin Cities ad time against a congressman whose district is in northeastern Wisconsin? That makes as much sense as purchasing Twin Cities ad time against Christi Noem. Spending money on Twin Cities ad buys against Ribble and Chip is stupid. The southern portion of Chip’s district is the most conservative part of the district. Their ad buy will win dozens of votes for Chip’s opponent. They would’ve been far better off had they bought ad time against Chip and Reid Ribble in Duluth. God bless idiots like the SEIU and The House Majority PAC. They were bound to lose seats this time already. Spending money this foolishly guarantees that. Labor unions, such as the 49ers of the International Union of Operating Engineers, have strongly urged the Obama Administration to issue a presidential permit giving the go-ahead for the project. And workers along the pipeline route are ready to begin construction in 2012. That was the case until the administration told them not so fast, that maybe in 2013 it would decide to issue a permit for the project. Supporters of this project have every right to be angry and frustrated that the administration is withholding its blessing. At a time of high unemployment and our country’s growing reliance on oil from the Middle East it should be an obvious decision to approve construction of the Keystone XL Pipeline project. Why the delay? It would appear politics are at play, at the expense of America’s unemployed and underemployed. This shouldn’t be a difficult decision. The pro-Pipeline project logic is exceptionally straightforward. Unemployment in the construction industry in nearing 14%. Our reliance on Middle East oil isn’t wise. Rep. Kline and Rep. Cravaack support legislation that would return control of Minnesota’s wolf population to Minnesota’s DNR. The Obama administration can’t afford to delist the timber wolf prior to this election cycle. President Obama is dragging his feet on delisting the timber wolf for the same reason he’s dragging his feet on deciding on the fate of the Keystone XL Pipeline. Obama’s administration is dragging their feet on these decisions because he thinks he can’t afford to alienate the environmental extremists in his base. This is politics at its worst. President Obama made speech after speech in which he criticized Republicans for putting partisanship over doing what’s best for America. That’s projection. Now, it’s politics at its worst. Militant environmentalists can’t defend their positions on the Keystone XL Pipeline and they certainly can’t scientifically defend their position on not delisting timber wolves in Minnesota. Thanks to militant environmentalists, farmers, union workers and middle class families are getting hurt. Timber wolves are shrinking livestock herds in places where they haven’t been in decades. Oil pipelines aren’t getting built because militant environmentalists tie things up in courts with no repercussion for their militant actions. Minnesota owes a debt of gratitude to Chip Cravaack for his sensible leadership on these important issues. TakeAction Minnesota joined with our allies from Minnesotans for a Fair Economy at Noon today, chasing Wells Fargo CEO Jon Campbell and the politicians he supports through Wells Fargo PAC, down Nicollet Mall. Banks got billions in bailout money, politicians got $5 million. And all the rest of us got was this crummy economy. Watch, then share it out! It’s well within TAM’s First Amendment rights to protest Wells Fargo CEO Jon Campbell. In fact, TAM might be surprised that alot of conservatives oppososed TARP, too. What’s painfully obvious is that TAM and Minnesotans for a Fair Economy don’t treat different bailout recipients the same way. They certainly didn’t create a stink about the UAW getting their bailout from the Obama administration. It’s painfully apparent that TAM and MAFE have a double standard. If unions get bailout cash, that’s sticking up for the working man. (Nevermind the fact that ‘the working man’ has Cadillac health insurance and a defined benefit pension plan that most middle class people would envy.) TAM and MAFE are fine with that. The minute that perceived fatcats get bailouts, though, TAM and MAFE are furious. They’ll put a protest together against banking fatcats on a moment’s notice. The crowd, organized by the community coalition Minnesotans for a Fair Economy and other groups, had followed the politicians and high-dollar donors, who made a last-minute change of venue from the exclusive Spring Hill Golf Club, apparently to avoid facing Minnesotans angry over their job-killing policies. They watched as a plane flew overhead bearing a banner reading, “Where’s our piece of the pie? JOBS NOW.” The group was joined by puppet versions of Reps. Boehner, Bachmann, Cravaack, Paulsen, and Kline, who arrived in a limousine. Ms. Cassutt better take off her rose-colored glasses. 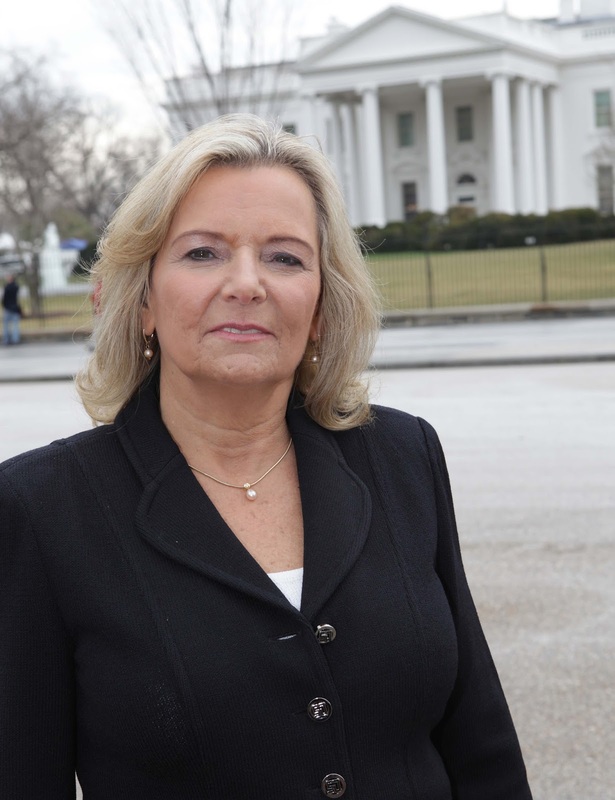 They’re preventing her from seeing that President Obama’s policies are killing jobs. Obamacare is killing job creation. Ditto with Dodd-Frank, the EPA’s and the NLRB’s regulatory unconstitutional overreach. In fact, the Obama administration’s EPA is doing more to kill jobs than all of the Republicans’ spending cuts could possibly kill. TAM and MAFE live in a fact-free world where everything they say should be treated like it’s etched by God’s finger in stone tablets atop Mount Sinai. Shame on TAM, MAFE and other DFL surrogates for ignoring reality. Shame on them for ignoring that that President Obama’s policies and spending have taken an ailing economy and turned it into a total mess without a direction or purpose. Despite TAM’s and MAFE’s vehement protests, President Obama is responsible for killing jobs. Since the President took office two years ago, he and Congressional Democrats have overseen the largest budget deficit in the history of our nation, driving the national debt to a staggering $14 trillion. While the nation suffers from 20 straight months of unemployment above 9 percent, Washington has been on an unsustainable job-killing spending spree. After listening to the President’s remarks, I hope his actions match the rhetoric we heard tonight. “In the first weeks of the new Congress, House Republicans have demonstrated that they are listening to the American people and leading by example: we have cut our own budgets by 5 percent, repealed ObamaCare, and rolled back non-defense government spending to 2008 levels. “This needs to be a Congress focused on jobs and the economy. One way my Republican colleagues and I have demonstrated our resolve to restore America’s fractured fiscal house is by banning earmarks. I was pleased to hear the President is following our lead in putting an end to wasteful pork-barrel projects. “As the Chairman of Education and the Workforce Committee, I am pleased the President highlighted education reform as one of his priorities. As I did last week when Secretary of Education Arne Duncan and I visited Crystal Lake Elementary School in Lakeville, I am continuing to seek input from principals, teachers, parents, and students on what is working – and what is not working – at the school level and whether federal policies are supporting or hindering the work schools across the country are doing to ensure students are prepared to succeed. “Later this year, in its second-largest deployment since World War II, the Minnesota National Guard will send more than 2,400 troops – the famed “Red Bulls” – to the Middle East. As a member of the House Armed Services Committee and a veteran of the Marine Corps, I was pleased to hear the President reiterate his commitment to winning the war against Islamist extremists. Through initiatives like “Beyond the Yellow Ribbon,” we must ensure we take care of our sons and daughters in uniform, and their families. “I encourage the Administration and Congressional Democrats to join Republicans in showing we are serious about restoring trust between the American people and those elected to represent them. I encourage Washington to heed the calls of the American people to do what we were sent here to do, provide security and freedom for our country, restore economic certainty, and enable America’s job creators to put our nation back to work. In spite of the soaring rhetoric we heard in tonight’s State of the Union address, the fact is the Obama economic agenda just isn’t working for the American people. President Obama promised that the ‘stimulus’ would create or save 3.5 million jobs but in the two years since its passage, 2.1 million jobs have been lost. President Obama promised that the unemployment rate would not rise above 8 percent with the stimulus, but the national employment rate now stands at 9.4 percent. After two years of record deficit spending and with the national debt now topping a staggering $14 trillion, it is past time President Obama and Democrats finally got serious about cutting spending. “A ‘freeze’ just won’t cut it and it is too little, too late. Unless we roll back the spending now, we will be wandering for a long time in a frozen wasteland of an economy with slow growth, high unemployment and nothing but a mountain of debt to show for it. To that end, President Obama should embrace Republican calls to cut, not just ‘freeze’ spending, to spur private sector job growth. Our children and grandchildren deserve no less,” said Republican Party of Minnesota Chairman Tony Sutton. After 2 years of reckless spending,NOW Obama wants to freeze spending? It’s time for real cuts. Americans have grown familiar with the President’s regular promises to reduce the debt, cut spending and grow our economy. Yet each year his Administration spends more money, grows Washington and makes it harder for the private sector to create new jobs. Spoken promises have quickly transformed into broken promises. Tonight, the President promised again to focus on the economy and cut wasteful Washington spending. Americans understand that tomorrow’s actions matter more than tonight’s speech. If the President is serious about improving our economy, his rhetoric must finally match his record. To summarize using Clinton War Room terms: It’s the actions, Stupid. To Rep Bachman: Stop spending money like the billions on the Iraq War you got us into? What a blithering idiot. Rep. Bachmann was a state senator when President Bush, with Congress’s approval, took us to war. Then again, R.T. Rybak doesn’t care about facts. As the leader of the party wedded to wealth redistribution and culpable for this massive expansion of government’s power and price, the President insists on the oxymoronic goal of a “smarter” and “leaner” big government. Beneath the cant, he still contends the solutions to globalization’s economic and social challenges are more government, including an increased collusion between big government and big business; and, implicitly, more big government control over our decisions and money. The recurring thought that kept running through my head was that, after each sentence about America’s greatness, President Obama would return with a plea for more government. Those things don’t fit together. Paul Ryan said it best during his response to President Obama’s speech when he said that it isn’t a coincidence that Congress’s approval rating is at its lowest when government is its most intrusive. That nails it spectactularly. The American people don’t want government telling them what to do and when to do it. They want to be masters of their destiny. This president either hasn’t figured that out or has figured it out and is proceeding his direction anyway. Either way, tonight’s speech was a lost opportunity of immense proportions. President Obama could’ve framed the fight for his re-election. Instead, he gave us a conflicted speech that didn’t win back independents and gave his 2008 supporters reason for buyers remorse. Rabid Right Wingers For Repeal? Rep. John Kline joined fellow Minnesotan Michele Bachmann today on the Club for Growth’s list of lawmakers who pledge to repeal the health care bill. As Kline spokester Troy Young summarized, “Repeal and Replace.” But unlike Bachmann, who prides herself on being the first lawmaker to introduce a “repeal” bill, Kline has not yet signed on to similar legislation, Young said. “If we are not unanimous as a conference in being for repeal of 100 percent of Obamacare, then we’re fractured as a party,” Rep. Steve King, a favorite of the Tea Party movement, told me from Minnesota, where he was appearing at a rally with Tea Party superstar Rep. Michele Bachmann. The lawmakers know what Democrats will say. They’ll point to three things, banning discrimination against pre-existing conditions (which is years in the future), filling the Medicare prescription-drug “donut hole,” and extending dependent medical coverage until age 26, and say, “Republicans want to take all those good things away from you.” Obama has already issued a trash-talk challenge to the GOP: “Go for it. The bad news for Democrats is that they think Obamacare is more popular than it is. This was evidenced Tuesday night when Democratic strategist Julie Menin said that “President Obama has 6 months to convince people” that Obamacare is great. That’s the epitome of arrogance. President Obama has given dozens of speeches on health care. The more he spoke, the more people rejected it. The notion that another 6 months of speeches will suddenly change people’s minds is a foolhardy proposition. The American people have tuned President Obama out when it comes to health care. They aren’t buying what he’s selling. People have called Michele Bachmann names since she started her political career. She keeps getting elected. The DFL’s characatures of her are legendary. They haven’t put a dent into John Kline’s reputation, though, mostly because he’s such a thoughtful policymaker. Though there’s a huge difference in their images, the reality is that there isn’t a big difference between Michele’s policy beliefs and John Kline’s policy beliefs, especially when it comes to voting to limit government’s intrusion into people’s lives. That’s because they both strongly believe in keeping the federal government within the Tenth Amendment’s limits. If something isn’t part of the authorities enumerated in Article I, Section VIII, then the federal government doesn’t have the authority to act on it. Repealing the Democrats’ health care law not only is the right thing to do according to the Constitution, it’s the right thing to do from a policy standpoint. The DCCC and the DFL keep thinking that the Democrats’ health care law is popular when it isn’t. It especially isn’t popular now that people are finding out that there’s $670,000,000,000 worth of tax increases in the bill. Fearing that health insurance premiums may shoot up in the next few years, Senate Democrats laid a foundation on Tuesday for federal regulation of rates, four weeks after President Obama signed a law intended to rein in soaring health costs. When the Democrats passed their health care legislation, President Obama, Speaker Pelosi and Senate Majority Leader Reid said that health care and health insurance costs would start dropping because of the competition that was caused by their legislation. If that’s the case, what’s the justification for imposing price controls on health insurance premiums? Shouldn’t we just let the legislation work its magic? After all, competition was the sure-fire cure all. The truth is that John Kline and Michele Bachmann understood from the outset that the Democrats’ plan was mostly smoke and mirrors, not competition and rewards. They’ve been telling us that the Democrats couldn’t possibly keep the promises that President Obama and Speaker Pelosi made. Michele was ridiculed for telling us what human nature dictated: that there was nothing in the Democrats’ health care bill that changed human behavior. That’s why it was utterly predictable that price controls would be needed. I predicted that several times. So did King Banaian and Ed Morrissey and anyone else that wasn’t afraid to admit to the truth.